These days it’s uncommon to encounter a registrar that doesn't demonstrate the same internet safety and public health values as the majority of the internet community. But once in a while, we come across a registrar that chooses to enable rogue internet pharmacies by allowing them to continue using their domain name services, despite reported abuse. One such example is Epik Inc. (WA, USA), which markets itself as “The Swiss Bank of Domains.” This registrar chose to use an excuse we often hear— that a court order is needed to report domain name abuse (which, of course, is untrue). 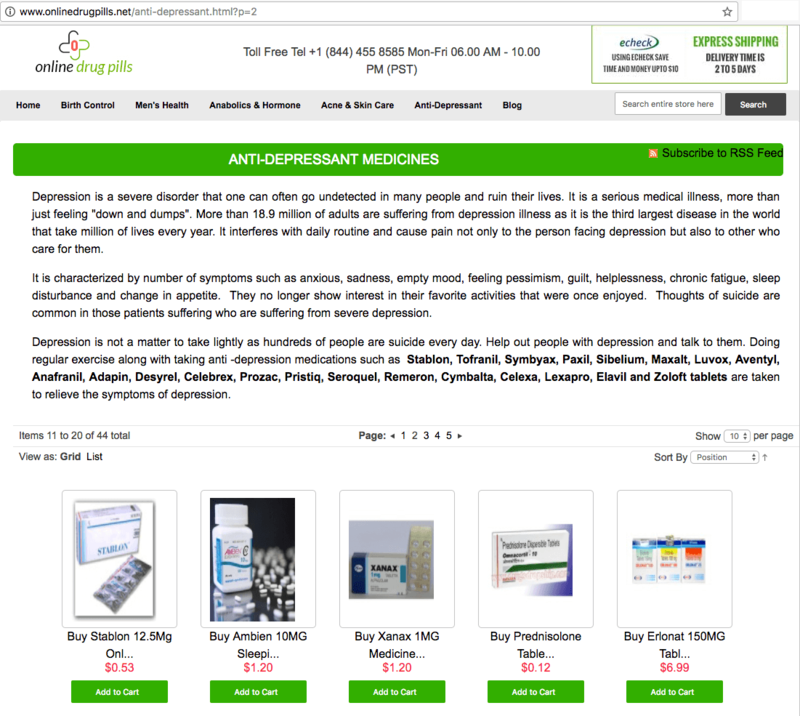 onlinedrugpills.net, which is designated as a rogue internet pharmacy because it is selling prescription drugs, including controlled substances, without requiring a prescription, is an example of a website that we reported to Epik Inc. It's interesting that Epik Inc. proudly claims to be a customer-centric company with “Legendary Customer Support.” If that is the case, Epik, let’s ask you this: which customers really need your support? The registrants who are engaged in criminal activity (from which you financially benefit) or the individuals who are deceived into buying unapproved or misbranded (or worse!) medicines from websites such as onlinedrugpills.net? Still, Epik chose to allow onlinedrugpills.net to continue to use its domain name services (and, by the way, so did ICANN Compliance, by closing a complaint against Epik and allowing it to continue sponsoring criminal activity — a recurring problem of ICANN’s willful blindness to, and continuous enabling of, criminal operations). Epik is now one of only two US-based registrars — the other is GKG in Texas — that turn a blind eye to, and permit, criminal activity. Given the US Department of Justice’s long-standing interest in going after businesses that engage in this behavior, indicting and fining such companies tens or hundreds of millions of dollars, Epik’s presence in the United States, and the fact that out of all of the dozens of US-based registrars, nearly all prohibit illegal activity (making Epik an outlier), Epik is choosing to begin playing a dangerous game that may lead to short term gains, but long-term risk.